One of the most beloved desserts to eat during the Lenten season is Capirotada. It was brought over by the Spaniards and quite possibly had its roots in Roman cuisine (remember that Spain was part of the Roman Empire), but it seems Mexican home cooks have perfected Capirotada, especially since it has so many variants, depending on the region where the cook is from! Early versions of Capirotada tended to be more savory and included meat, but in the 20th century it was sweetened, and thus became more of a dessert dish. This is one of many dishes that tend to disappear in the kitchen by the 1st generation who are born in the U.S., probably because it is perceived as labor intensive. Yet, with the nation’s Latinos who are 2nd or 3rd generation, and searching any ties to their roots, we are seeing capirotada making a comeback. Below is a rather traditional way of preparing it with “birote” (Mexican mini-baguette known as ‘bolillo’ in many parts of Mexico), and “piloncillo” (hardened, brown sugar cones), the two key ingredients in most Capirotadas. Yet, we wanted to give it a LatinoFoodie twist with some rum soaked raisins and sliced apples. Again, depending on the region and family, the beauty of Capirotada is that it can be transformed into all sorts of deliciousness. Rum soaked raisins — a new staple in our kitchen pantry. Rum Raisin — In a large jar, fill 3/4 of the way with raisins and top off with your favorite rum. We used Captain Morgan Spiced Rum. 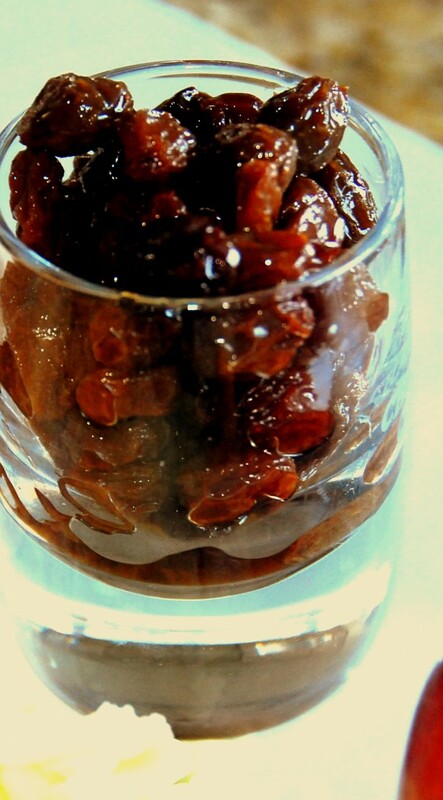 Personally, we’re now keeping a jar of rum soaked raisins in our pantry year round. These are delicious on a bowl of vanilla bean ice cream, french toast, cookies…You get the point. Store at room temperature in your pantry. Cut rolls in ½ inch slices and butter both sides, layer on a baking sheet and bake for 3 minutes on each side, until lightly toasted and dry. Remove and cool. 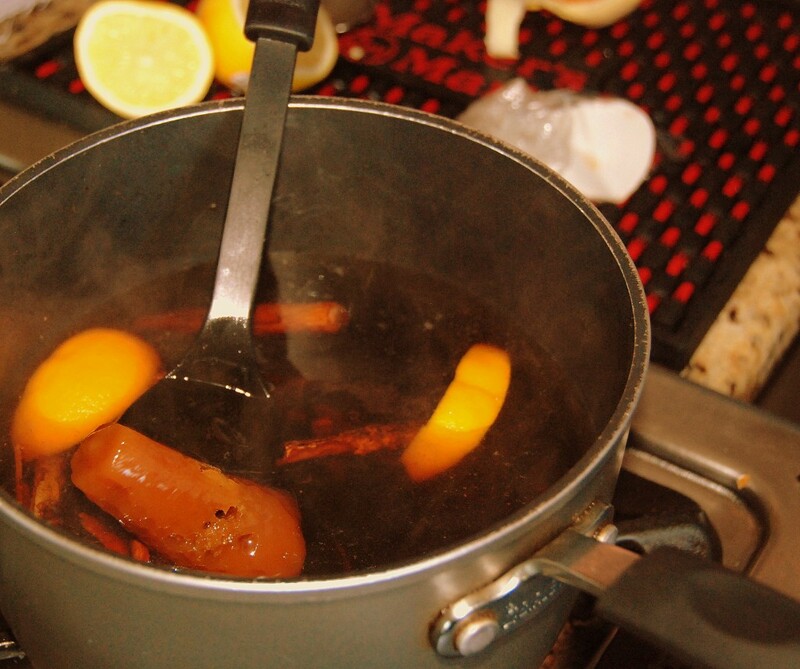 Combine water, piloncillo, cinnamon sticks, orange peel, and cloves in a large saucepan. Bring to a boil; reduce heat, creating a syrup. Simmer syrup uncovered for 20 minutes. Remove from heat and let it sit covered for 1 hours. 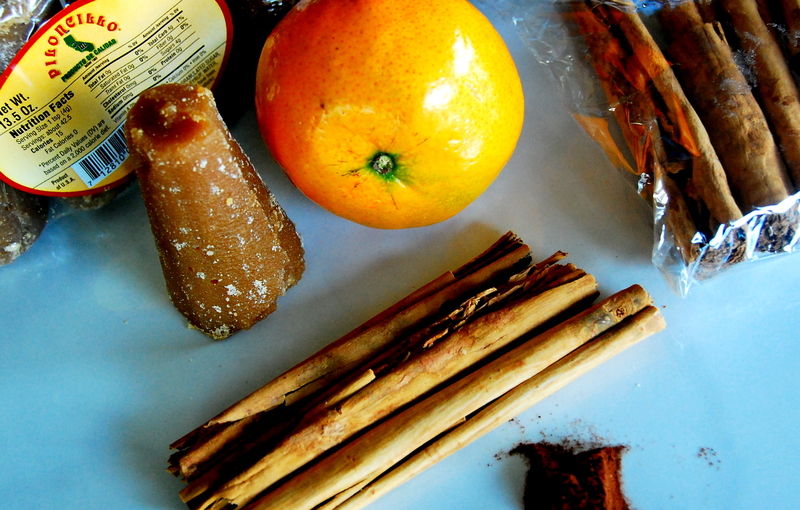 Pour through a strainer and discard orange peel, cinnamon sticks and cloves. Set syrup aside. Spray 9×13″ baking dish with non-stick spray or rub with butter, layer ingredients in the following order: a third of the toasted bread, third of the raisins, sliced apples, third of the cheese, third of the peanuts, and 1 1/2 cups syrup poured evenly over cheese. Wait 5 minutes and layer another third of the bread, raisins, apples, cheese, peanuts, and 1 1/2 cups syrup evenly over cheese. 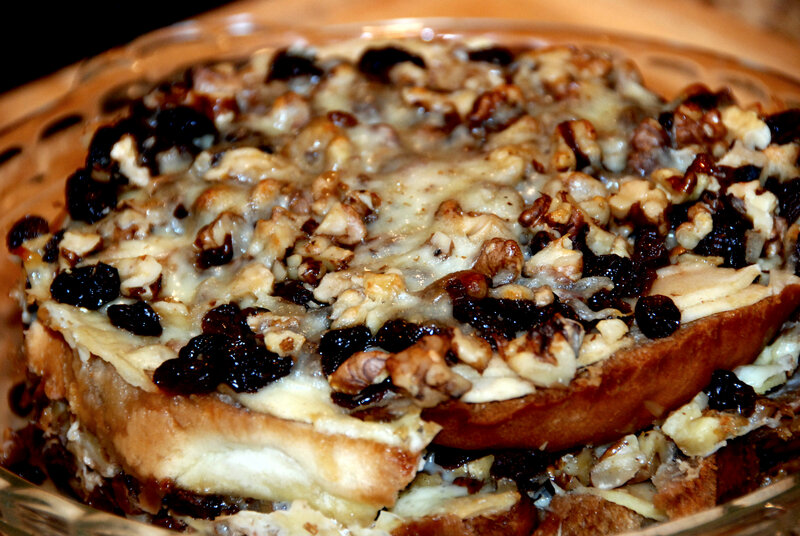 Let soak for another 5 minutes, and again top with the remaining bread, raisins, cheese, and syrup evenly over bread. 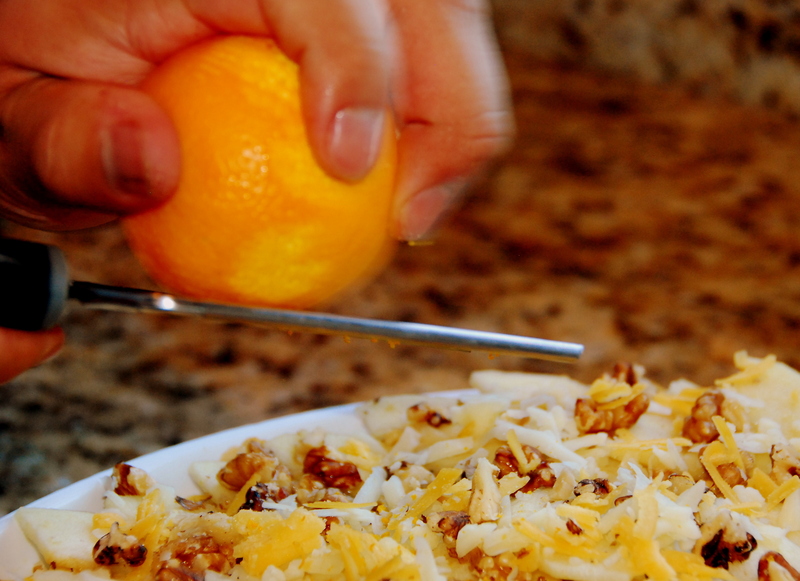 At this point, zest an orange peel on top for added flavor. Before baking let set for another 5 minutes. 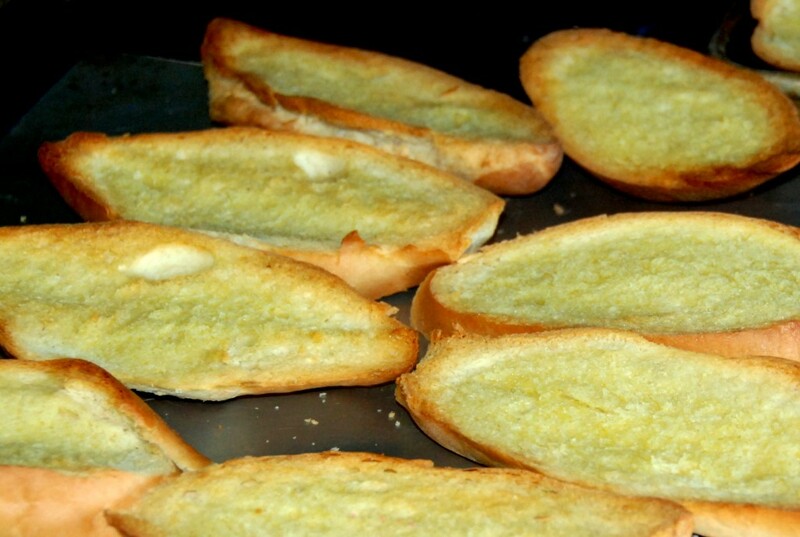 Bake for 40 minutes uncovered until cheese is golden brown. Remember to add the rest of the syrup if the top of the capirotada looks dry. The ingredients for the syrup. Make sure to butter and toast your bread. Let them sit outside for a bit to get dry. Piloncillo sauce — We want to now pour this on everything, including pancakes, french toast, and ice cream. 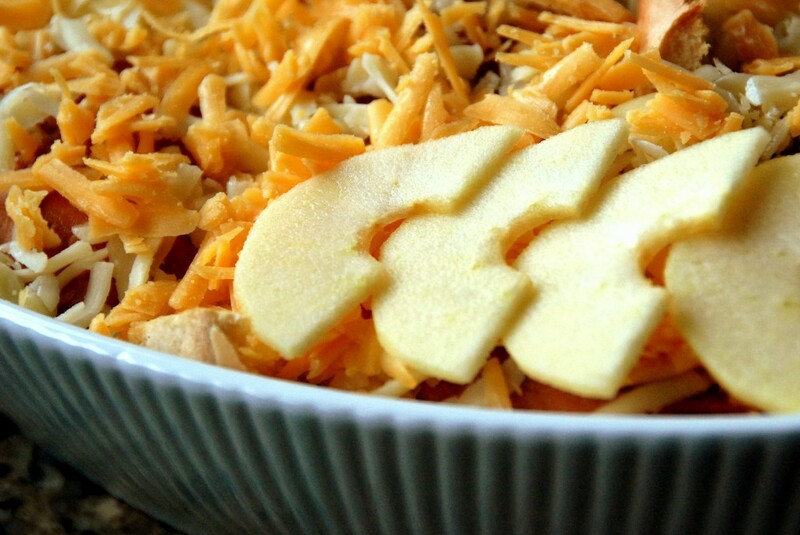 Some people add prunes, dried apricots, we decided to add sliced apples. The zest of the orange enhanced the flavors of the cheese and raisins. Capirotada tort – a great way to showcase the layers inside of a Capirotada. 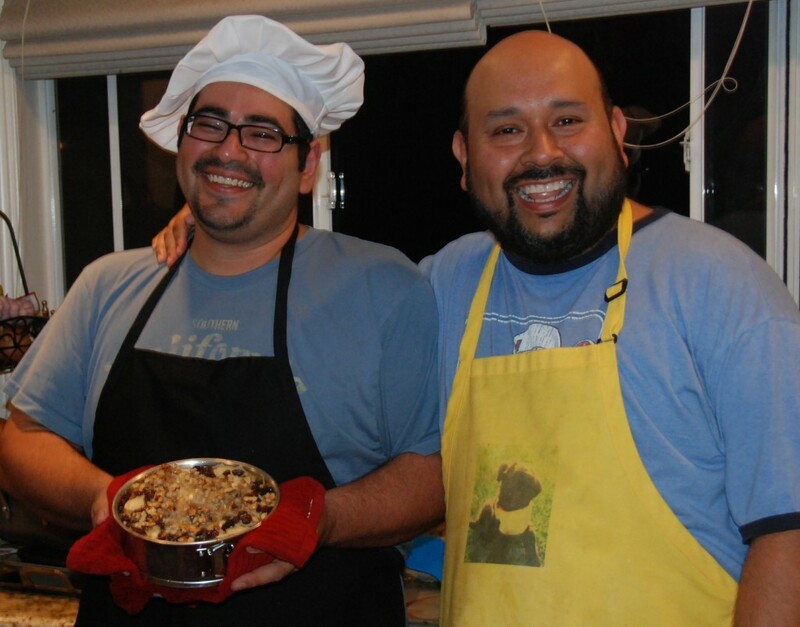 From our LatinoFoodie Kitchen to yours, ENJOY!! Thank you for posting this!! I’m going to attempt this as a surprise for my mom, it’s her FAVE! It looks like there are walnuts on your finished capirotada picture…are those added on the top? Hi Yasmin, toasted & chopped nuts make a great optional topping. I remember my grandmother always topping her capirotada with colorful candy sprinkles, or nonpareils. Hope your mom likes it! Tip: Make extra sauce that you can use to moisten leftovers OR to use on pancakes/waffles. Thanks so much for this recipe! I have made it every year since first posting and my mom LOVES it!! Yasmin — We’re thrilled to hear you and your love love the recipe. We do too and made it again this past Lenten season. Happy cooking! It’s been a very long time since I had this. Can it be served cold. Or be stored in a crocpot to keep warm. Need it for easter Sunday breakfast. I love bread pudding both warm & cold, however I prefer my capirotada warm. If prep, assembly and time are an issue on a busy Easter Sunday morning, you can assemble it the night before, cover, refrigerate and just pop it the oven 40 minutes before serving. And while I’ve never personally made any type of bread pudding in a crock pot, it is definitely possible, but takes a little longer at about an hour roughly. But it can stay warm. Linda let us know how it turns out. P.S. Make extra sauce so that you can reheat any leftovers. 40 min. at what temp. ? Can you tell me how long you soaked the raisin’s for before using them? Lisa, soak them long enough to plump them up. I leave an air-tight jar of raisins in my pantry soaking in rum so they are boozy and juicy and ready to go when ever I need them for capirotada, but also for any bread pudding, pancakes, carrot cakes and all sorts of muffins. If you’re not a fan of rum, try tequila! If you’re tight on time, pop them in the microwave for a few seconds. Enjoy!